Home of the lifetime Engine guarantee! Very friendly and helpful staff. The service department is amazing and will take care of your needs. Good experience buying a vehicle at Carolina Chrysler. This was the best car buying experience I’ve ever had. Mr. Rick made the process as smooth as possible. He also went out of his way to make sure we were comfortable. Thank you!! The best car buying experience ever. The salesman was very helpful and courteous. I highly recommend Carolins Chrysler to anyone looking for a reliable vehicle with great customer service. I told them what I was looking for as well as my price range and they made it happen!!!! The services Team is awesome and always right on point with getting the job done at the time they allot you t for the service the perform. I had a great experience at Carolina Chrysler Dodge Jeep Ram. All of the staff were really nice and helpful. Rick White was my sales person and he did a terrific job helping me to get the car I wanted. I am very pleased with my purchase and plan to continue going there for service on my car. Mr Rick and the rest of the staff made my car buying experience very easy and pleasant. I was treated with the upmost respect and I drove away in the car that I wanted. The car buying experience was quick and easy. My wife and I met with Rick add purchased a vehicle with a fair trade on our truck. They have a good selection of vehicles with friendly service. Purchase our 2014 Jeep Wrangler from Rick white awesome customer service and a pleasure to work with would recommend this dealer to any of my friends or family best deals around! We service & assist Elizabeth City State University, the Coast Guard Air Station in Elizabeth City and pretty much everywhere and everything in between. The factory-trained, certified technicians at our Service Department in Elizabeth City, NC use only Genuine MOPAR Parts to keep your CDJR vehicle running like new. 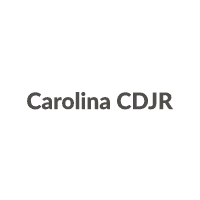 We never use inferior aftermarket parts on your CDJR vehicle that could damage your vehicle and even void your warranty. You can use our website to apply for credit, estimate your payments, value your trade, and schedule service. We also bring you a 24-hour Service Center, early-bird and Saturday hours, shuttle service, rental vehicles, authorized state inspections, a body shop, a tire store, and free WiFi. Our CDJR dealership offers many attractive specials that will save you big bucks. Check our website often for the latest specials on new, certified and used vehicles, as well as service and parts. We are proud to bring you many CDJR promotions and incentives to reduce the cost of leasing or financing your next vehicle. Carolina Chrysler Dodge Jeep Ram always brings you friendly customer service. We are the real deal, so visit us soon!